No one escapes suffering in Rikers Island. Not prisoners, not staff. Jennifer Keishin Armstrong profiles Justin von Bujdoss, the first-ever Buddhist chaplain in America’s most notorious jail. Justin von Bujdoss. Photo by A. Jesse Jiryu Davis. In a small, cinder-block room lit by shards of afternoon sun sneaking in through windows in the ceiling, thirteen jail guards in dark blue uniforms sit quietly on gray plastic chairs. The only sound comes from the blowing fan and the occasional squawk of their handheld walkie-talkie radios. The room is labeled “chapel,” though the only sign of that purpose is a basic wooden altar and lectern in the front, shoved to the side. 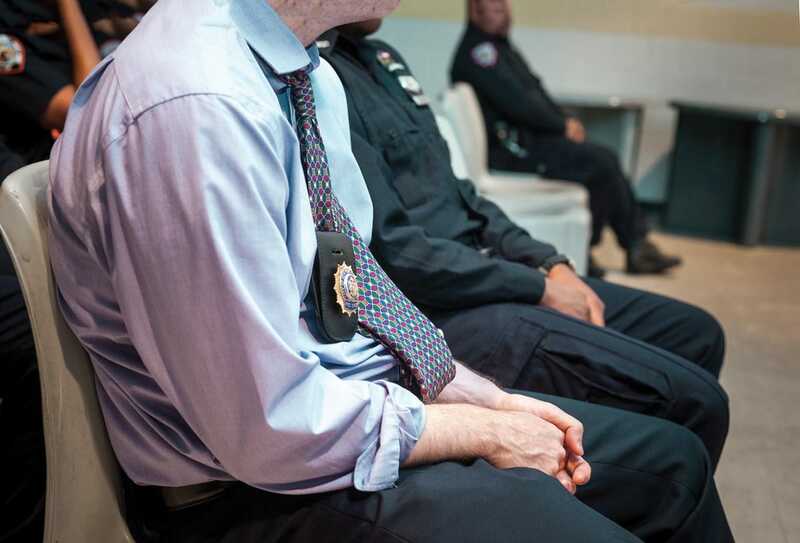 The guards—correctional officers, or “COs” in official parlance—softly confess the most difficult feelings they face daily to the man in a light blue shirt and tie sitting at the front of the room. “Tired,” one says. “Anxious,” another says. “Disappointment,” says a third. “Anger,” says a fourth. “Sleepiness,” “lack of trust,” and “impatience” follow. Several guards mention variations on the theme of not wanting to be there, not wanting to be at work. 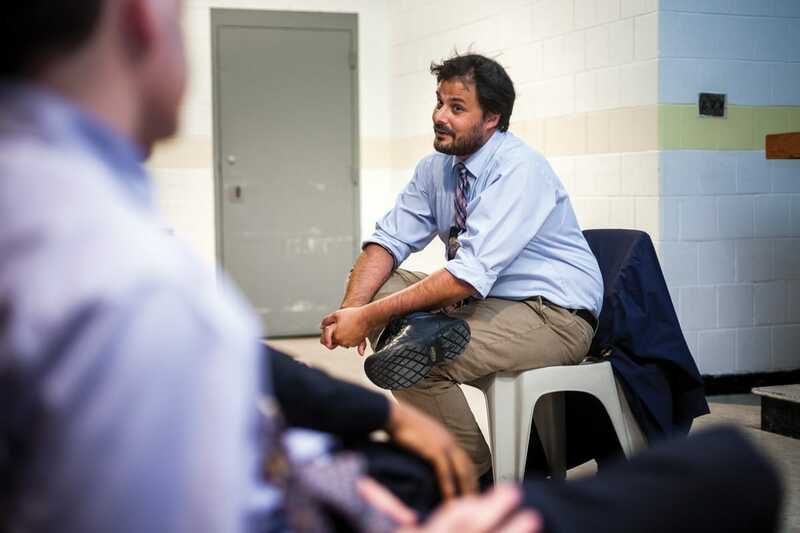 At Rikers, any peace feels like a hard-won victory. The bearded, bespectacled man leading the discussion is chaplain Justin von Bujdoss. He takes it all in with accepting nods, then issues some instructions: Focus on your breath, he tells them. Inhale something that makes you feel good and exhale something you’re having a hard time with. The room settles and calms. Noises continue to drift in from the fraught environment surrounding them at Rikers Island, New York City’s main jail complex. Planes from nearby LaGuardia Airport jet overhead. Gates in the nearby hallway open and slam. The sounds of jangling keys, voices, and radios continue to drift through. But inside the chapel, there are discernable moments that feel like peace. So peaceful that a few COs in the back row have nodded off to sleep. But at Rikers, any peace feels like a hard-won victory. This message is exactly why von Bujdoss, a Vajrayana Buddhist teacher, became the troubled facility’s first chaplain last year. Chosen over candidates from more mainstream religions like Judaism and Christianity, von Bujdoss does more than teach weekly meditation classes for officers. He also tends to their spiritual and emotional needs in illness and death, and helps them deal with the everyday stressors that come with working at a jail so notorious for its brutality that it has been targeted for eventual shut-down by the city. 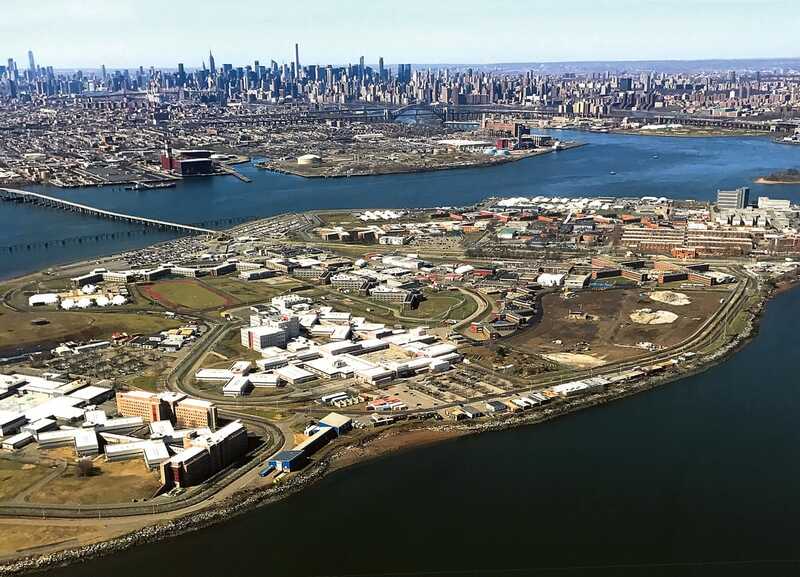 New York City’s Rikers Island is a 400-acre complex of ten separate jails. It houses some 10,000 prisoners at a time, more than 80% awaiting trial. Photo © Reuters / Mike Segar. Now forty-two, von Bujdoss found Buddhism as a teenager growing up in the artsy SoHo neighborhood of Manhattan. Because his father was a painter, he was constantly exposed to new forms of art; when he found a book on Tibetan art at age sixteen, it inspired him not to follow in his dad’s footsteps, but to become a monk. He was so serious about it that his high school girlfriend rejected him, worried she would stand in the way of his dreams and his spiritual path. There he studied Theravada Buddhism, then traveled to Sikkim, where he met a Tibetan nun, Ani Zangmo. She would become his first teacher. After graduating from Antioch College with a degree in Religious Studies in 1997, he sold most of his possessions and went to India for a year to continue his Buddhist training with Ani Zangmo. She died while he was there, so he became a student of her teacher, Bokar Tulku Rinpoche. Then Bokar Rinpoche died in 2004. 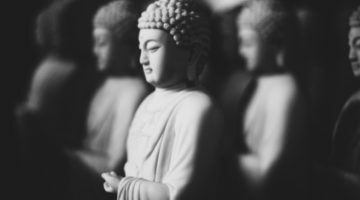 For several years, von Bujdoss worked renovating homes in the United States and making frequent trips to India to study Buddhism for months at a time. But when he got married and had children—he has three sons who are now seventeen, four, and two—he realized he had to stop separating America from India, life from practice. That realization, plus his interest in practicing with death, led him to train as a chaplain at the New York Zen Center for Contemplative Care as part of its first graduating class in 2009. During his training at Beth Israel and New York Presbyterian medical centers, he served mostly in intensive care units and on psych floors. He then worked in a home hospice program while founding and running Tsurphu Goshir Dharma Center in Brooklyn under his teacher, Goshir Gyaltsab Rinpoche, and starting a volunteer program to teach meditation to inmates at Rikers. Von Bujdoss usually includes three short meditations in his hour-long sessions with Rikers Island staff. He says the nonjudgmental nature of Buddhism makes it useful in situations of great stress. Photo by A. Jesse Jiryu Davis. 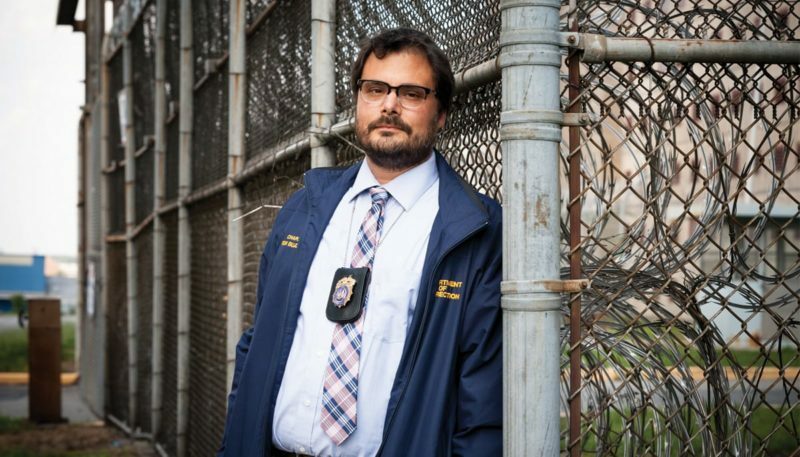 By the time he heard the city was looking to hire a chaplain for Rikers, he was spending three days a week there as a volunteer and several more hours per week working with administrators to improve the programs he ran there. It made sense for him to apply. He was hired in September 2016. At first, he focused mainly on responding to staff health problems and hospital visits, a natural transition from his hospice work. Now he runs the weekly meditation program, works to develop other emotional and spiritual support programs, provides one-on-one counseling for officers, and is starting a chaplaincy unit. The goal is to hire at least three chaplains, and eventually expand to up to a dozen, like the New York Police Department’s chaplain unit. 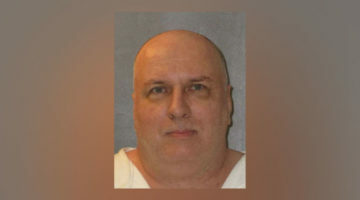 When Warden Smith was asked to hire a chaplain for the jail as part of overall efforts to better support staff and help with stress reduction, she could have chosen a candidate from a religion more prevalent among the staff—Jewish, Protestant, Catholic, or Baptist, for instance. But in the end, she felt von Bujdoss was best for the job. Part of my dharma practice is trying to unpack the tradition to bring it to this facility. When he began teaching meditation, the sessions were mandatory at first. Predictably, not all of the officers were enthusiastic about it. “The first day I asked everyone to share something they were grateful for, and something that was difficult,” he says. “Almost every response was ‘pass.’ On my way home that day, I was like, ‘Man, I don’t know.’” But when the classes became optional, he ended up with a core group of officers who embraced them. The group members helped each other through life challenges, like the loss of a loved one or the birth of twins, a joyful event complicated by the job’s demands. Of course, Rikers isn’t just any facility. It is among the nation’s most infamous jails, with an average daily population of about 10,000 inmates—the vast majority of whom have not been convicted of a crime, but are awaiting trial or being held on bail. Rikers is legendary for frequent violence between inmates and officers and was named one of the ten worst correctional facilities in the country by Mother Jones in 2013. In 2014, nearly 10,000 assaults were reported on the grounds and a U.S. Department of Justice investigation concluded that the facility promoted a “culture of abuse.” In June 2015, former inmate Kalief Browder committed suicide after spending three years in the facility refusing to plead guilty to charges that he stole a backpack at age sixteen. These incidents and others led to a public outcry that persuaded New York Mayor Bill de Blasio to announce plans this year to close Rikers within ten years. Rikers Island staff complain of exhaustion, anxiety, impatience, lack of trust, and not wanting to be at work. “If you’re irritated and pissed off,” von Bujdoss tells them, “you can come back to a feeling of centeredness and it can help your decision making.” Photo by A. Jesse Jiryu Davis. Von Bujdoss also brings in guest meditation instructors, such as Kripalu Center teachers who shared some hatha yoga-based techniques. “He’s always collaborating with someone somewhere to help us,” Smith says. 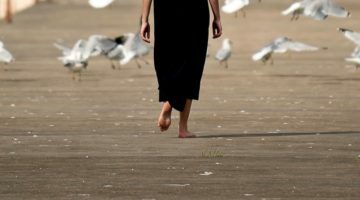 Von Bujdoss views his job as part of his Buddhist practice, by constantly returning to the idea of awakening in the moment. I’m interested in helping people become a little bit liberated. That’s the fun part. As for his personal Buddhist practice, he prefers the comfort of home with his own shrine. 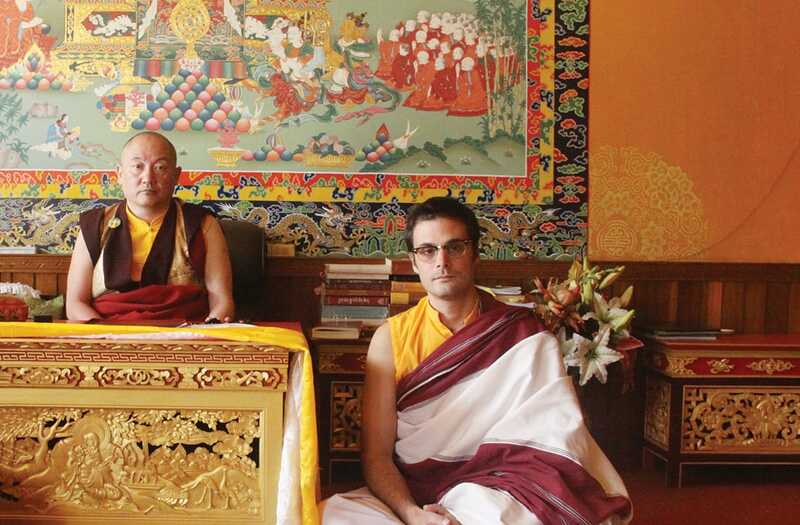 The dharma center he founded in Brooklyn in 2012 is no longer operating, and he hasn’t felt motivated to join someone else’s. “I’d never practiced at a dharma center until I opened one,” he says. He travels to teach, visiting dharma groups in upstate New York, Philadelphia, and Boston. He also returns to India about once a year to see his teacher, Gyaltsab Rinpoche, in Sikkim. That dance he’s done all of his spiritual life—negotiating the line between the sacred and the profane, practice and “real life,” India and America—might ultimately be what defines his unique ability to help a place in crisis like Rikers. 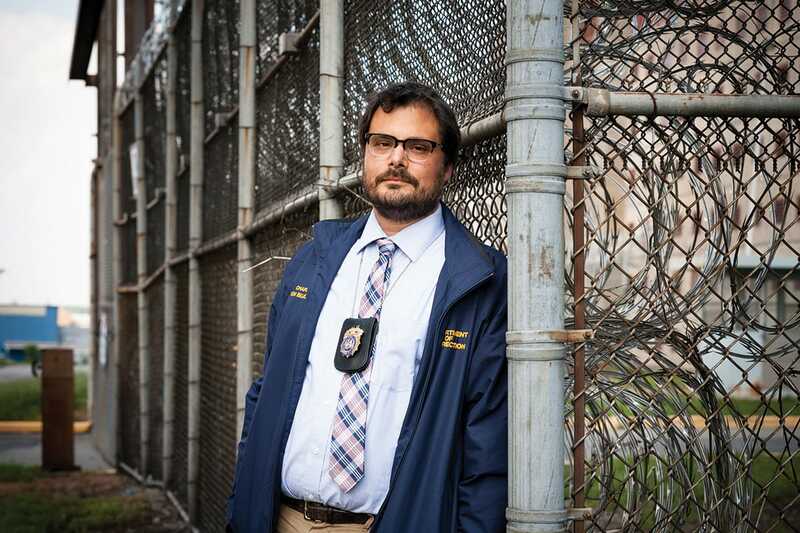 He refuses to reduce his teachings for the officers to simple secular mindfulness, even as he strives to find his own, nontraditional ways of expressing the dharma to Rikers staff. Von Bujdoss with his teacher, Goshir Gyaltsab Rinpoche. He views his job as part of his Buddhist practice because he must constantly return to the idea of awakening in the moment. Photo by A. Ziche Leethong. Nowhere is that more evident than when von Bujdoss is leading his meditation session with officers. “Inhale what you need right now,” he tells them in his instantly calming voice. “If it’s rest and relaxation, let it be that. If it’s peace, let it be that.” Muffled yells drift into the room from the hallway. The officers remain quiet, upright in their chairs, eyes closed—except for the one guy in back who’s casually lounging across a chair or two. Another plane flies overhead, but no one flinches. One officer leaves about halfway through the ten-minute meditation, but still, no one flinches. Afterwards, one of the officers shares a thought: “I feel peaceful.” In a place like Rikers Island, can you ask for anything more?